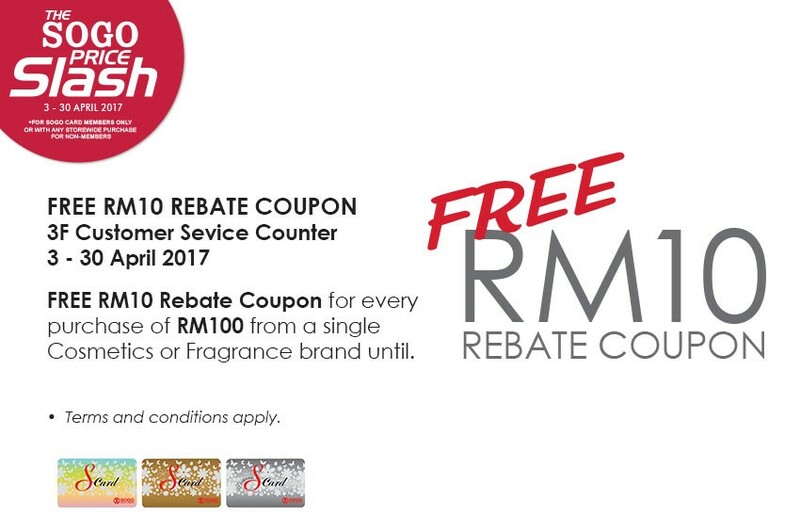 Redeemable only at 3F Customer Service Counter. For SOGO Card members only or with any storewide purchase for non-members. Excluding purchases of PWP, Best Buy, Value Buy, Coffret Set items and purchases made through SOGO Rebate Coupon(s). Valid SOGO Card, Sales Memo and Receipt must be presented upon redemption on the same day of purchase.